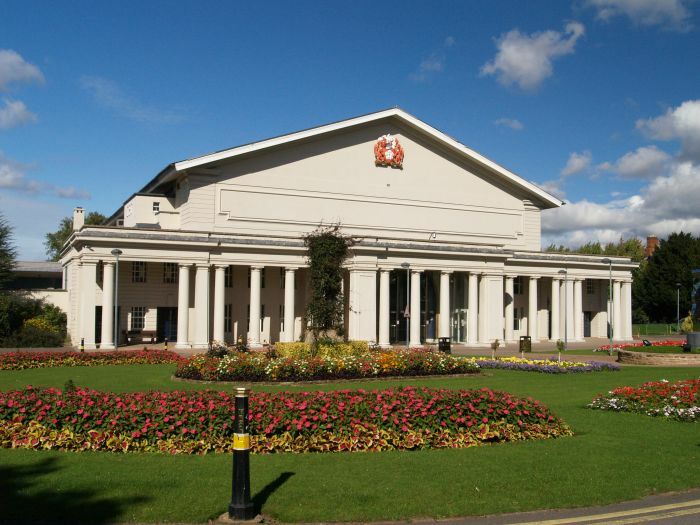 De Montfort Hall is just north of Victoria Park, Leicester. This well designed and spacious concert hall, seating nearly 3000 people, was built in 1913 by the Corporation of Leicester. It is a grand music and performance venue for jazz, ballet, musicals, comedy, opera and concerts given by the resident Philharmonia Orchestra. 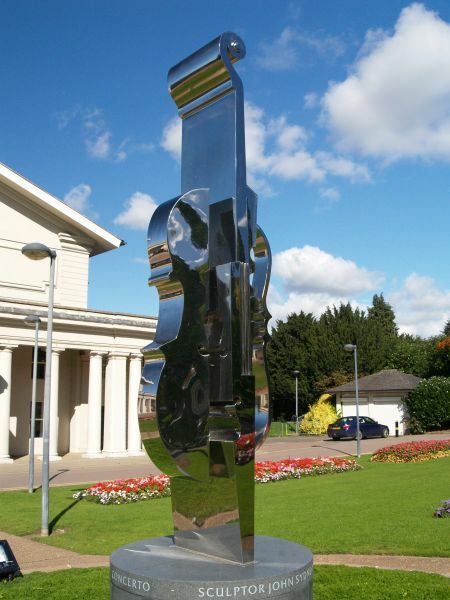 It is also the venue for the graduation ceremonies of the University of Leicester and De Montfort University. Opal Court in Lancaster Road, a continuation of Peace Walk, below Victoria Park, is, architecturally, one of the more interesting modern buildings in Leicester. 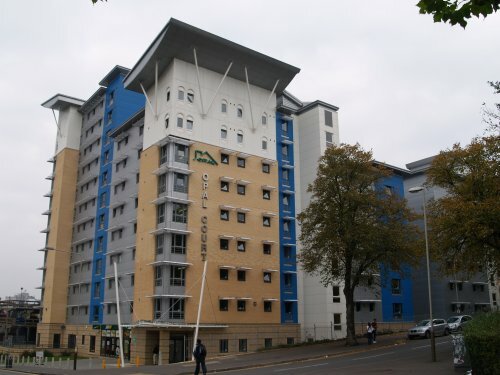 It is a block of flats and apartments for student accommodation. 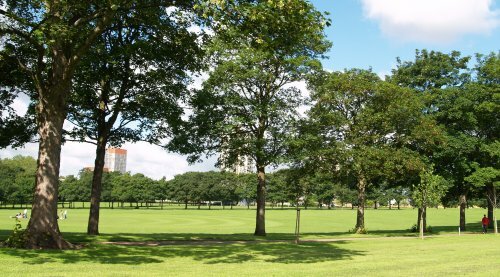 The 'green' and open Victoria Park with the buildings of Leicester University in the background, great to see a large open green space' near the heart of the busy bustling city of Leicester. 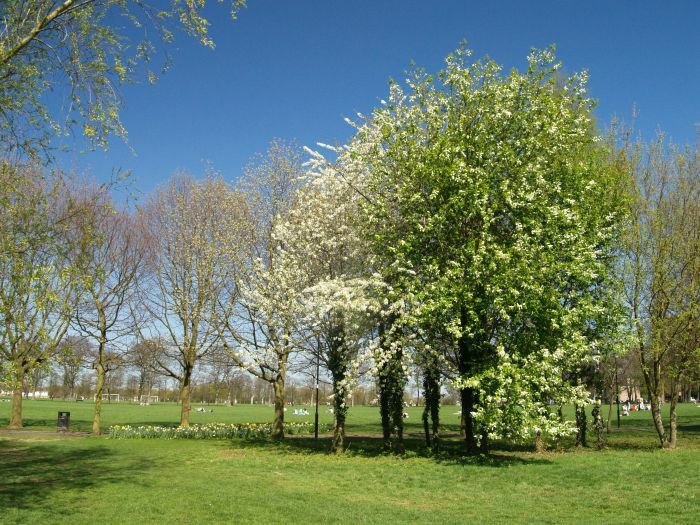 Victoria Park in Spring with lots of blossom laden trees and lots of space to play football, cricket and walk the dog. Despite the pleasant atmosphere of Victoria Park, there is a large white stone sombre reminder of past tragedy in the form the huge War Memorial. 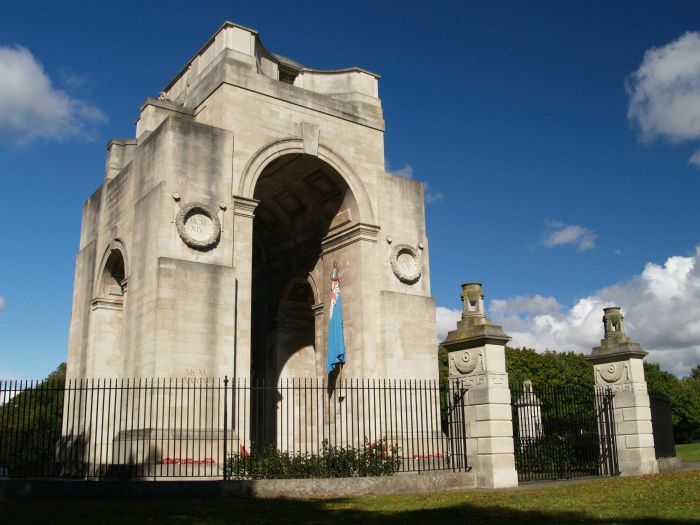 The war memorial in Victoria Park, Leicester which was designed by the famous architect Sir Edwin Lutyens in 1926. Close up of the war memorial in Victoria Park. 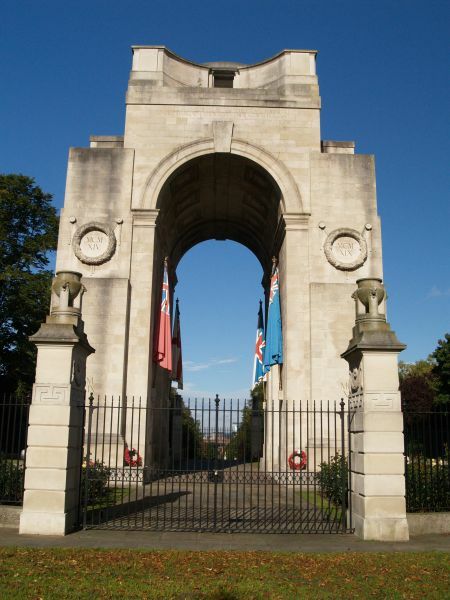 A mighty arch which reminds me of the World War I memorial The Menin Gate at Ypres, Flanders, Belgium. It is a tall arch of Portland stone with smaller arches in the sides. 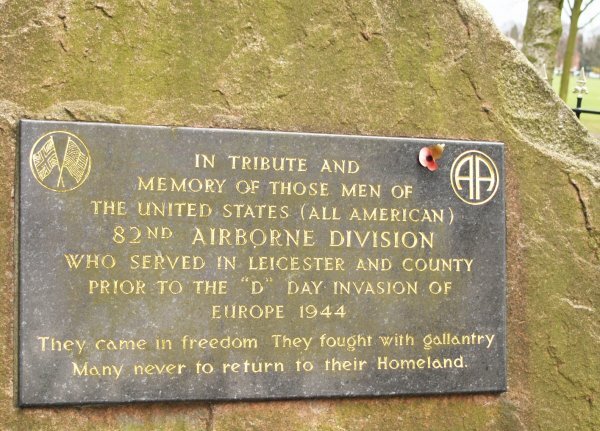 In the north-east of Victoria Park is a memorial tribute to the United States (All American) 82nd Airborne Division who served in Leicester and County Leicestershire prior to the "D" Day invasion of Europe in December 1944. 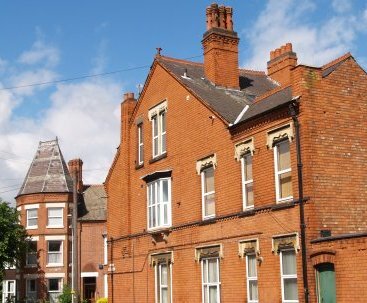 "They came in freedom They fought with gallantry Many never to return to their homeland"
Typical well built red brick houses and with slated roofs near Victoria Park, some are rented and others privately owned. 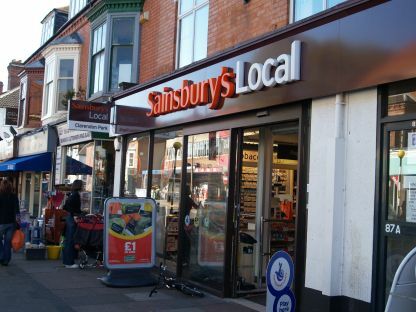 Note on the left picture, the craftsmanship of the slate roof and the red brick chimneys and walls. 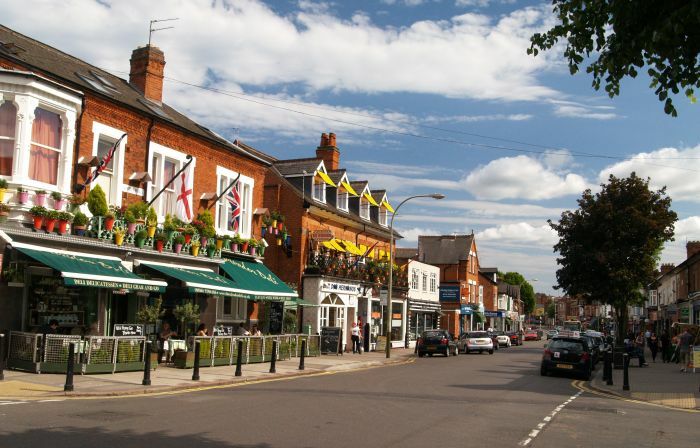 They date from the late 19th to the very early 20th century and always seem to show a high standard of workmanship on the part of the builders-bricklayers and roofers. 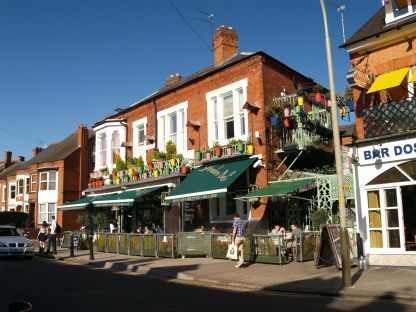 Many of the houses are converted into flats for badly needed accommodation for students and professionals alike. 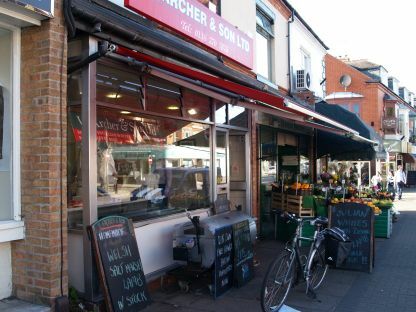 A general view of the busy 'commercial' centre of the Queens Road area, with shops, cafes and bars and more than a spot of 'cafe culture'. On the left is the splendidly named 'Salvador Deli' - a delicatessen - cafe - bistro - bar and wine shop! 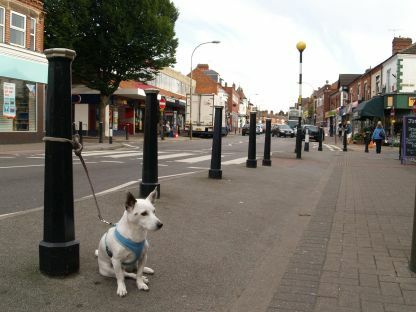 The northern end of Queens Road opens out into Victoria Park. 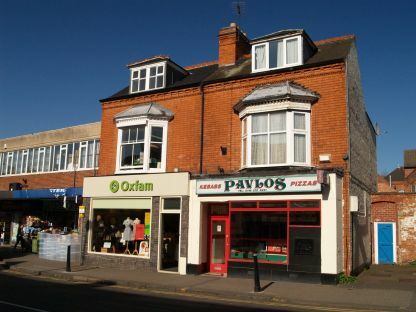 It is a busy bustling road with some good shops like Sainsbury's Local, the essential Oxfam Charity Shop, Pavlos Pizzas etc. Now some more recent architectural modifications to some earlier 20th century houses. 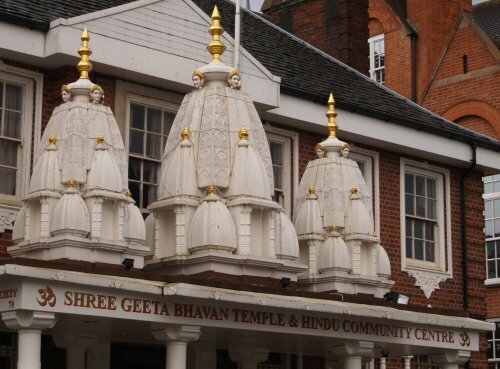 The Shree Geeta Bhavan and Hindu Community Centre, Leicester. 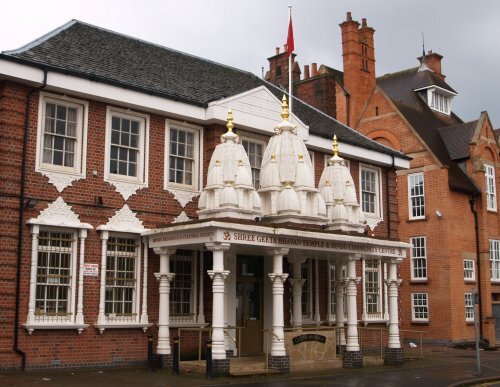 Temples derived from re-used buildings for the Hindu faith (above) and Sikh faith (below) on Clarendon Park Road. 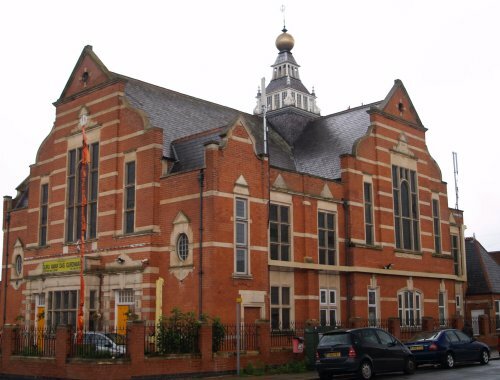 The Guru Amar Das Gurdwara Leicester Sikh Centre, on the corner of Clarendon Park Road and Lytton Road, Leicester.